Korean food is always my favourite as I love all those kimchi, fried chicken, BBQ and I can't resist spicy food! 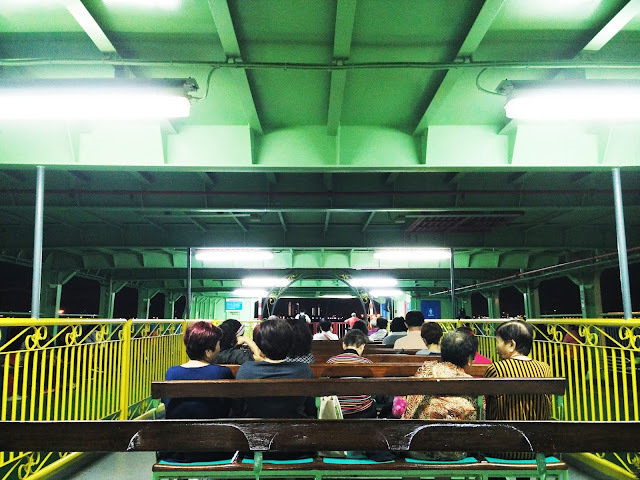 I still remembered that how wonderful the life was when I was travelling in Korea. I enjoyed the cool weather, the eye-catching scenery, the unique culture and most importantly their cuisines! Omggg I can't forget how those mouth-watering foods satisfy my taste buds and stomach! Due to the unforgettable experience in Korea, I always seek for Korean cuisine in Malaysia to fix my craving. Recently, I went to Dae Bap Korean Home Meal and I found that their foods are quite authentic and satisfy me. 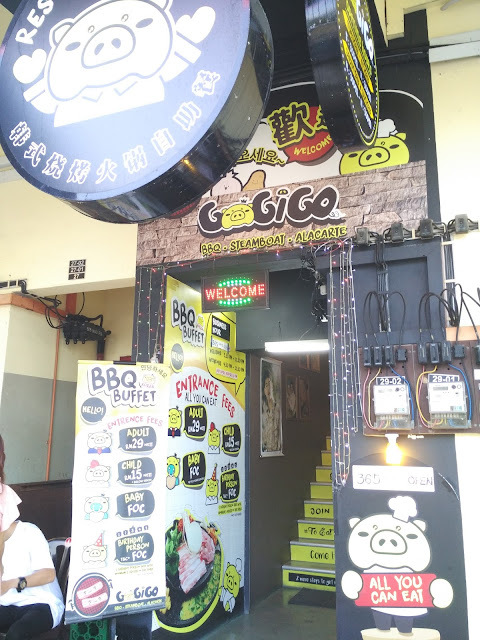 The interior design of the restaurant is simple and comfortable. We reached there during lunch hour and it was quite crowded. However, we managed to get seated after a short waiting. 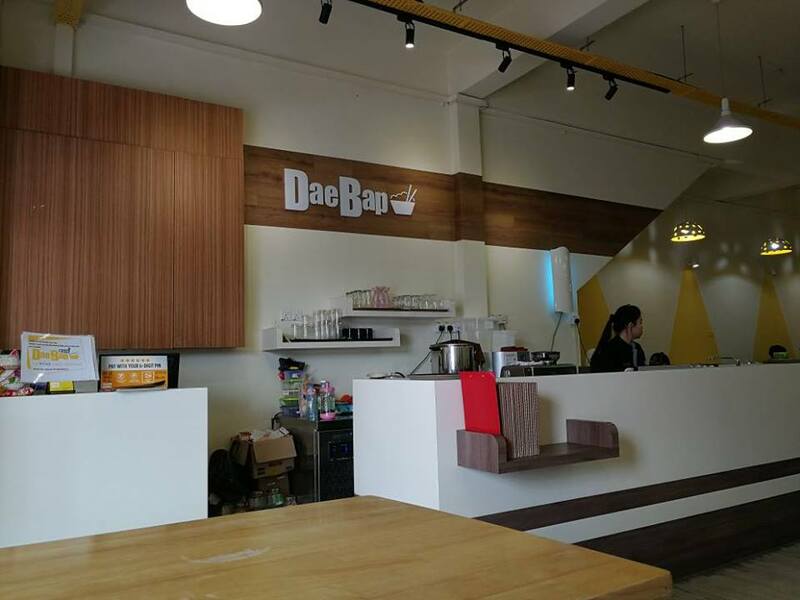 For your information, Dae Bap Korean Home Meal is now having weekdays lunch set promotion with no time limit. My jaw almost dropped down to the floor when I saw the price on the menu. IT'S THE WAY TOO CHEAP OMG! I was like "Are you kidding me how can we get a Korean set lunch with just RM9.90 nowadays?" But yup no kidding, you can enjoy a set lunch for just RM9.90 from Monday to Friday! Photo adapted from Dae Bap Korean Home Facebook. The set lunch menu varies everyday. 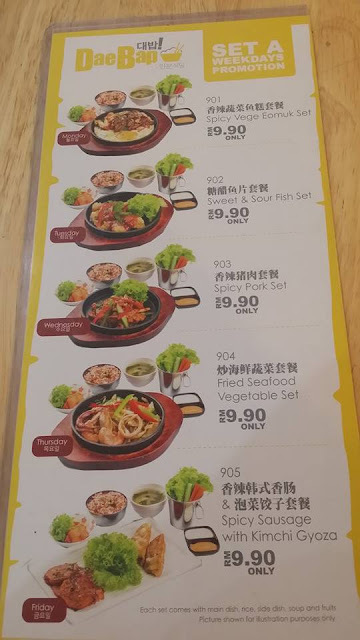 I went there on Wednesday so here goes to the spicy pork set for just RM9.90. Not mentioning the taste first, the portion of food was just surprised me because I don't expect to get this big portion of food with just RM9.90! 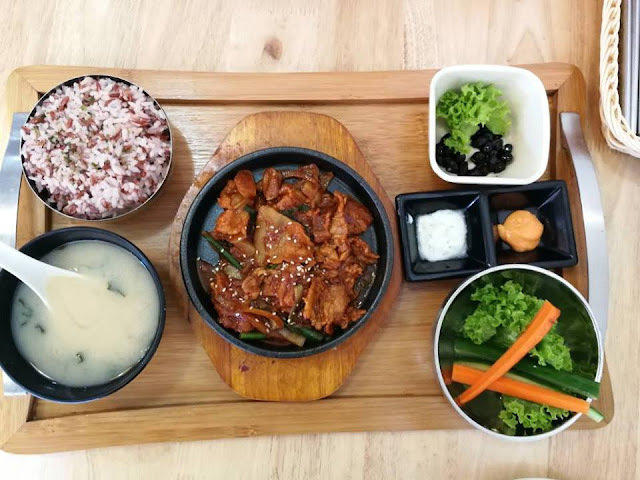 The spicy pork set was served with the flavourful spicy pork on a sizzling pan, miso soup, brown rice instead of white rice, and a variety of vegetables. I like the spicy pork as the taste was just nice when served with the brown rice. 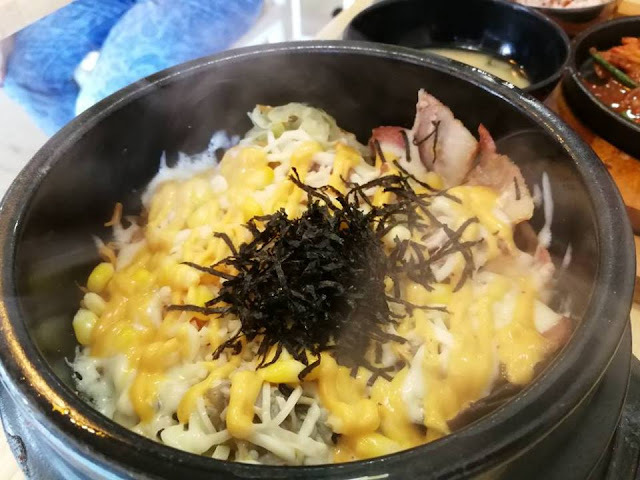 Bacon Cheese Dolsot Bibimbap RM18.90. Thumbs up for this just because it is 色香味俱全 (perfect in every perspective) 😅 The cheese was really an add-on point for this dish as it made the overall taste perfectly good. Only managed to take a picture of this Garlic Fried Chicken (RM9.90) when it left only two haha. Seriously it is a must-order-dish when you come here. 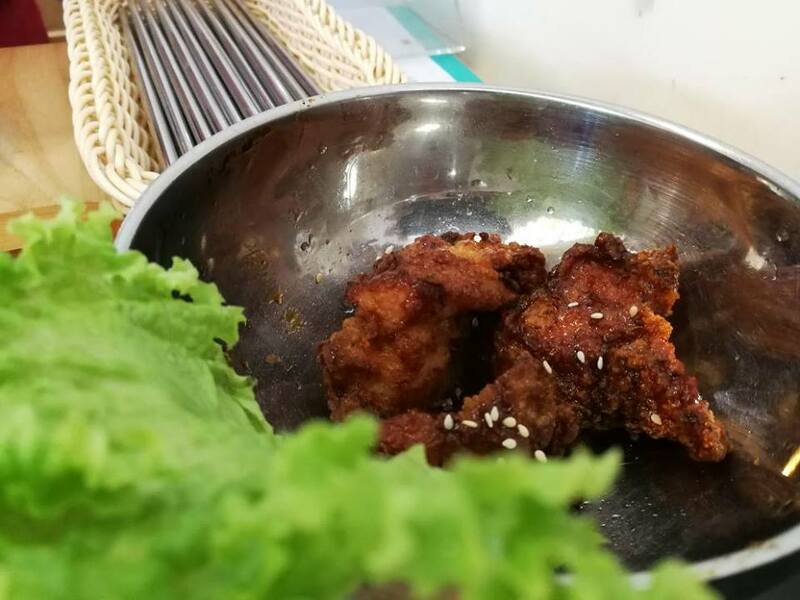 The fried chicken is crispy but the meat inside is still juicy enough. The garlic flavour lingers around my mouth and it makes me wanna grab another one as it is the way too tempting and delicious. Overall, I'm satisfied with the food here so if you want to try Korean food with good taste and affordable price, don't hesitate to come here as I believe that you will in love with it! No extra service charge and no GST is required so the price on the menu is what you have to pay! 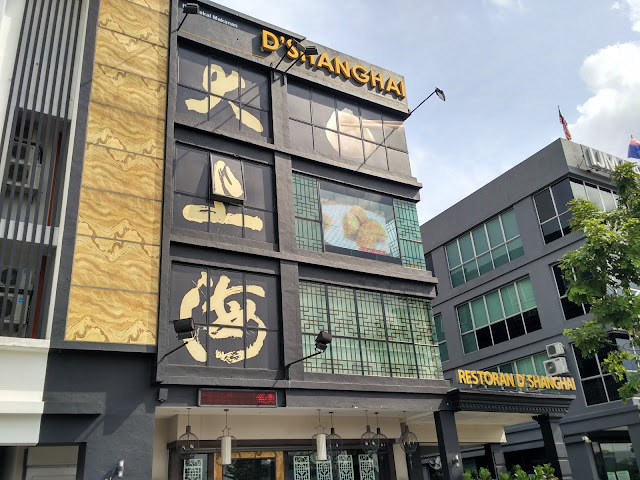 No.8, Jalan Austin Heights 3/2, Johor Bahru, Malaysia.